So, you’re in the process of designing your carrier bag, but you’re not quite sure how to design it so that it will make a positive impact. Fortunately, we have accumulated some top tips to help you make your printed carrier bags catch the attention of customers and appear superior superior superior to your competition. Let’s take a closer look at what these are, below. In order to make an impact with your printed carrier bag, you need to make sure that you take your design and branding into consideration. 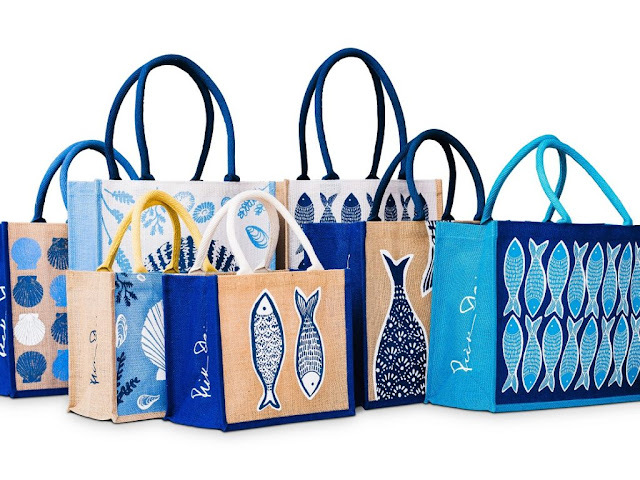 The design needs to be eye-catching and engaging, to make customers stop and look at the bag. The more interesting and unique the design, the more memorable your brand will be. Additionally, it is important that your design appeals to your customers; after all, you want them to continue using the bag once they have left your shop. The printed carrier bag needs to include intriguing artwork, text and potentially a hashtag in order to make an impact with your target audience. In the majority of cases, reusable bags break quite early on, due to their weak structure. Therefore, in order to give your carrier bags a longer life-span, you need to ensure that it’s incredibly sturdy. The more secure it is, the longer it will last which will allow your brand to continue to make an impact for a longer period of time. The handles of the bag tend to break easily, so think about the type of handle you should use to make the bag less likely to fall apart. These include flexible-loops, patch handles, and many others. Do plenty of research to ensure that you are giving your bag the best chances of having a long term impact on your customers. Not only are eco-friendly bags beneficial to the environment, but they will also work in your businesses favour too. The damage that we as humans are doing to the planet has increased significantly and scientists are warning us about the detrimental changes that we could see if we don’t start taking action. Using eco-friendly carrier bags will have a positive impact on the environment, as they are biodegradable and decay much quicker. Not only will you actually be helping towards saving the world, but you will also be showing that you are committed as a business to preserving the planet for generations to come. If people associate your brand with reusable carrier bags that help the environment, you will see a rise in new customers who also want to take a step towards this important cause. In order to have an impact, you need to be ahead of your competitors and always be in the spotlight. Once you are there, you should ensure that you create a printed carrier bag that has considered all of the necessary factors; the shape, the size, and the style. When you have decided on these factors as well as your design, you need to make sure that it meets what your target audience would be interested in. If you don’t think that it will appeal to them then you must return to the drawing board. As you can see, there are a number of ways for you to make an impact with your printed carrier bags. Utilisethesetop tips and you are sure to get ahead of your competitors in no time.